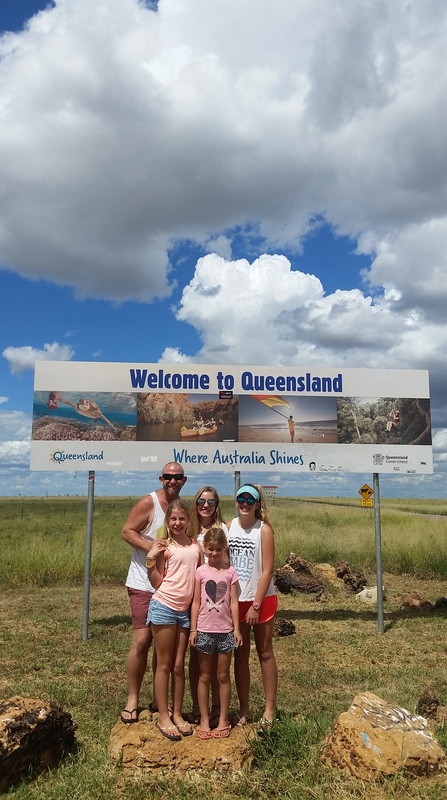 As customary on our state border crossings we stopped at the NT/ QLD border to stretch our legs and take a photo of the state sign, then as was the case on this hot outback Summer day, we quickly retreated back to the cool air conditioned comfort of the car to continue on. As it was only just past mid afternoon, we had earlier decided to push on a bit further, finally arriving in Mt Isa in the later part of the afternoon and after some haggling with the caravan parks we ended up at the Discovery Park, as the lovely Irish lady only charged us for 2 kids and threw in an ensuite site as well!!!! Yay, we are in Queensland!!! We then spent the next 2 days exploring Mt Isa, heading out to Lake Moondarra, then visiting the Information Centre where we spent the next 2 hours in the Fossil Centre with a very passionate and enthusiastic caretaker, Alan. Alan really knew his stuff and explained that the fossils around Mt Isa were not dinosaurs but the first ever mammals in which our current day mammals are descendants of. They are quite prehistoric, as well as being big and scary with carnivore kangaroos too. He then walked us through his laboratory and explained the ongoing processes of how it all works and how they extract the fossils from the rock. It was amazing that the whole process of discovering these fossils is still relatively new and is still occurring today. To the girls credit they were polite (even when I kept asking questions 😉) and feigned interest until we said our goodbyes and headed out to a park for lunch. 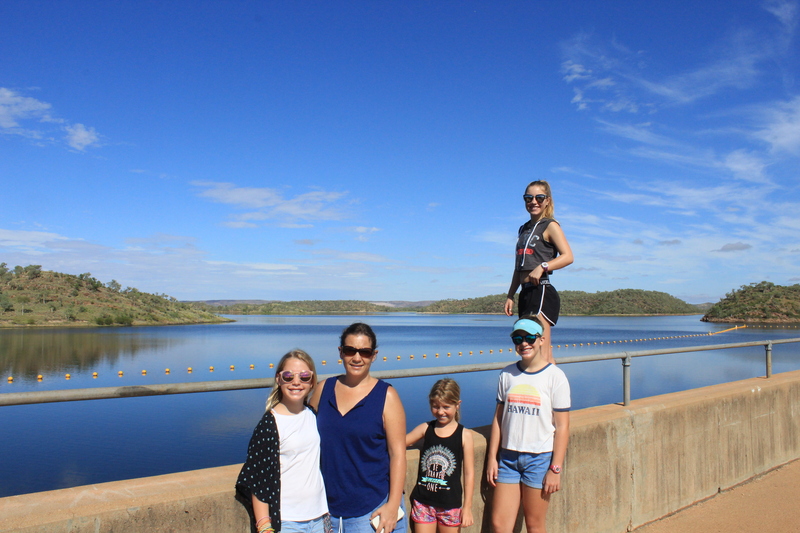 Standing on the dam wall at Lake Moondarra. 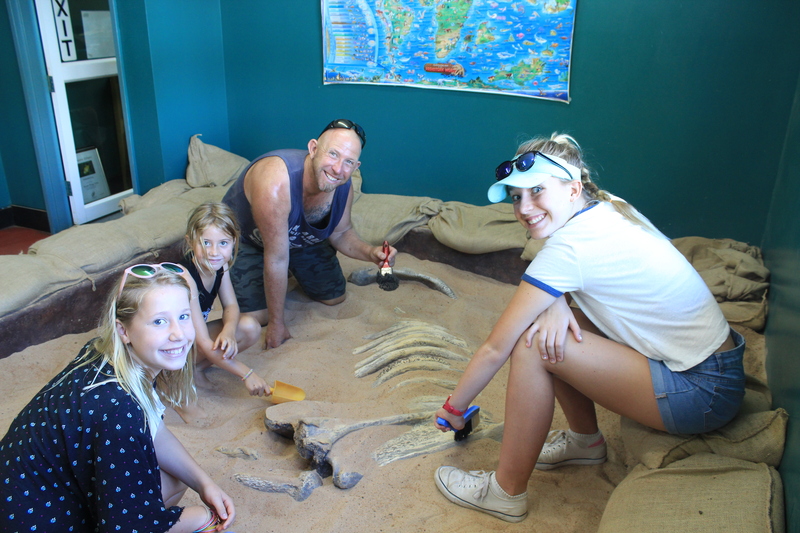 The fossil centre at the Mt Isa Visitors Centre. Alan showed us around and was very enthusiastic. After Mt Isa there was much toing and froing as to which way we went, we weren’t sure whether to veer south east off the Overlander way to head towards Winton to see the Dinosaur Stampede or keep heading towards Townsville and only do the top part of the Dinosaur trail at Richmond and Hughenden. In the end, we skipped Winton as the girls were quite vocal in their wishes that they simply weren’t interested in fossils or dinosaurs, so it was off along The Overlander Way again where we called in at Julia Creek for lunch and to visit the Julia Creek Dunnart, a nocturnal insect eating marsupial, which as the name suggests is only found in and around Julia Creek. 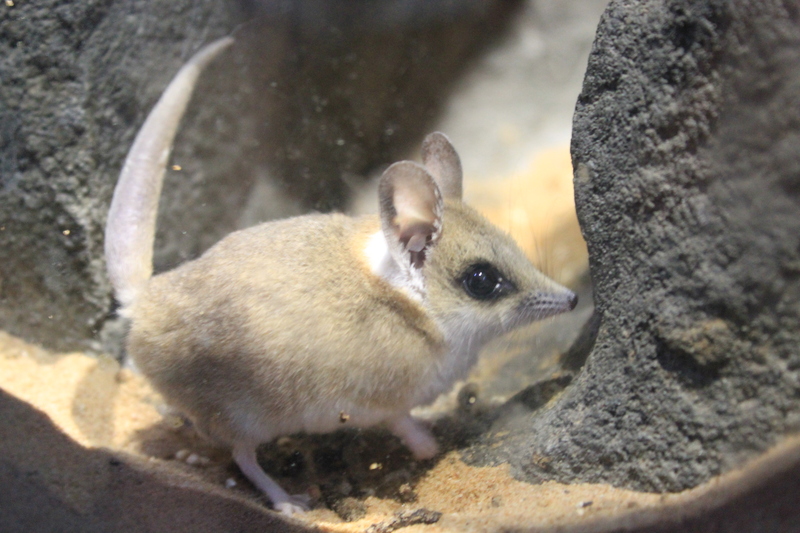 Unfortunately, the Julia Creek Dunnart had taken the day off… however we did get to see his cousin, the Fat Tailed Dunnet, which is housed at the Visitors Centre. He was very cute and the information provided on him and the whole town in general was very informative. 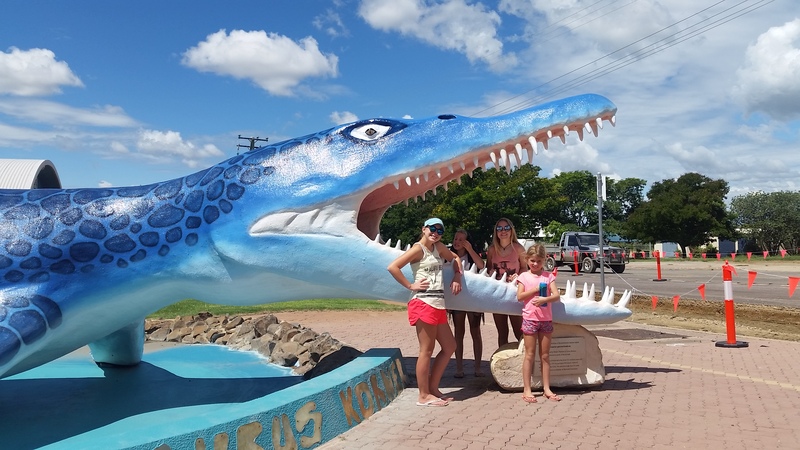 From Julia Creek, it was only a short drive to Richmond where decided to stop for the night, However, we first visited Kronosaurus Korner, situated at the Visitors Centre. 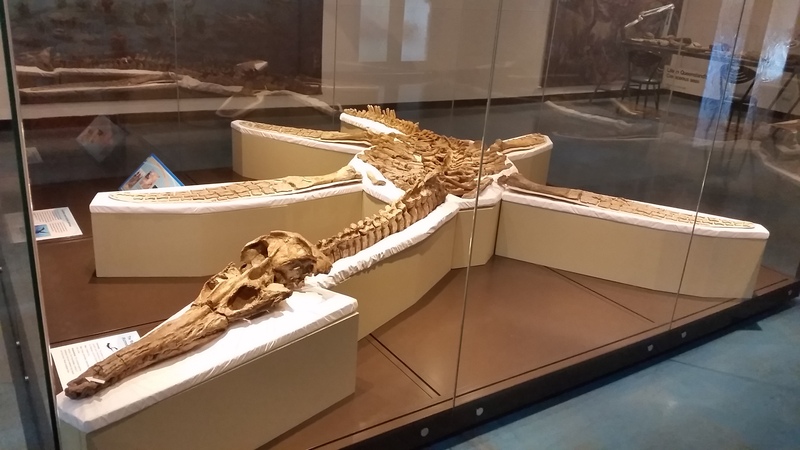 Kronosaurus Cove is touted as being the Australia’s best marine fossil museum and is the home of ‘Penny’, the Richmond Plesiosaur and Australia’s most intact vertebra fossil, as well as ‘Krono’, the Kronosaurus queenslandicus, a 10-metre giant marine reptile. The museum is well set up as you walk around the exhibits with a hand-held audio guide at your own pace. 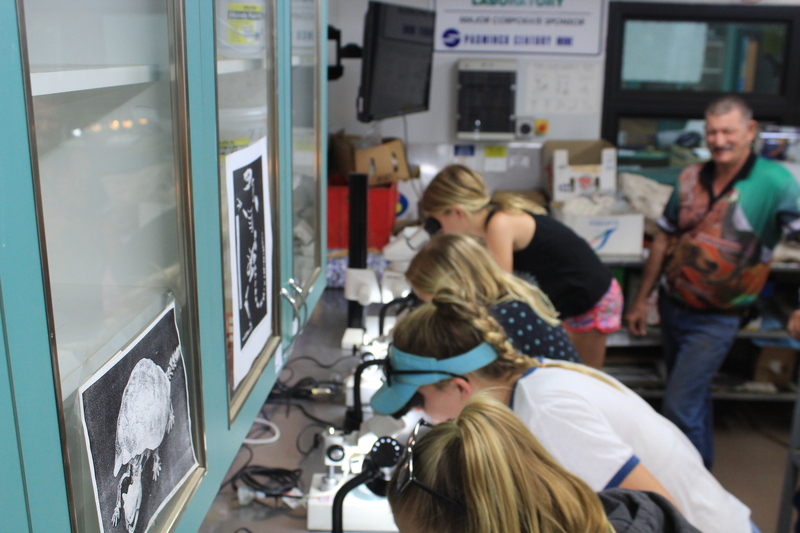 You can also view their laboratory and see how the fossils are processed and prepared. The displays inside the museum were excellent. 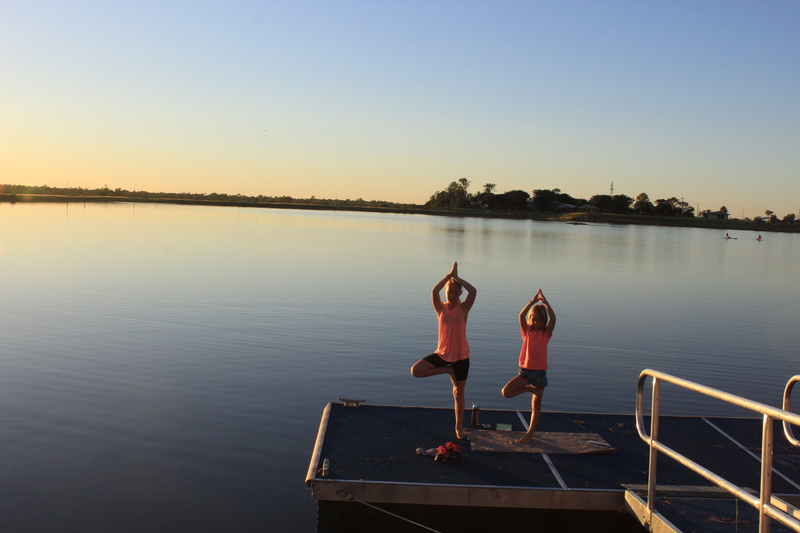 After a few hours at the museum we headed to the council run Lakeview Caravan Park, which as the name suggests sits right on Lake Fred Tritton, a recreational lake surrounded by picnic tables, kids water park and pontoon and BBQ. Not surprisingly we then spent the afternoon having a great swim and paddle on our lifesaving board in the lake. 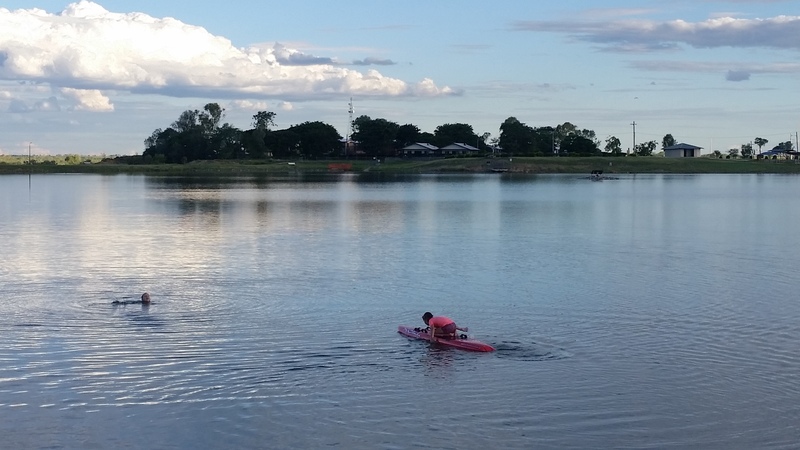 The next morning, we were up early, Bec decided to push out a few laps around the lake eventually reaching her goal of 10km, whilst the rest of us enjoyed watching some stand up paddle boarders as they cruised around the water. There is also two fossil hunting sites just out of town, where people can go and dig and hunt for more fossils, which they are actually doing very successfully. 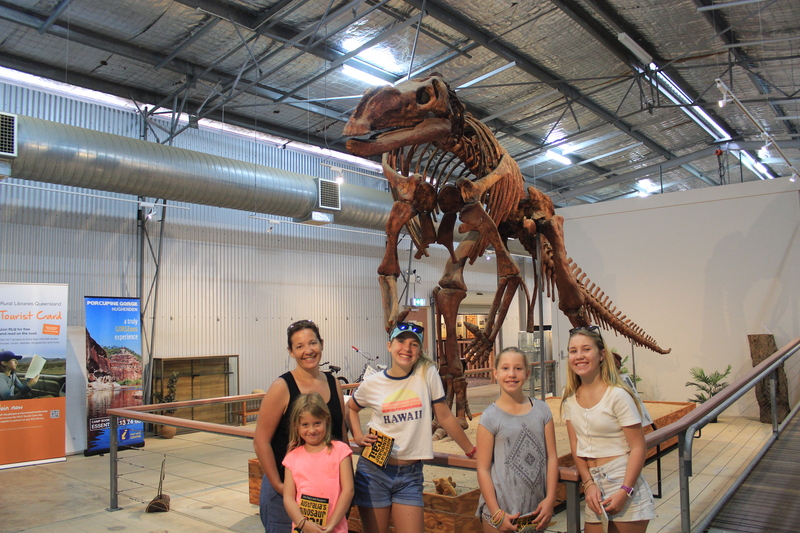 Unfortunately, the Smith girls were well and truly over fossils and museums, so seeing that I was outnumbered we packed up and headed to our next stop. 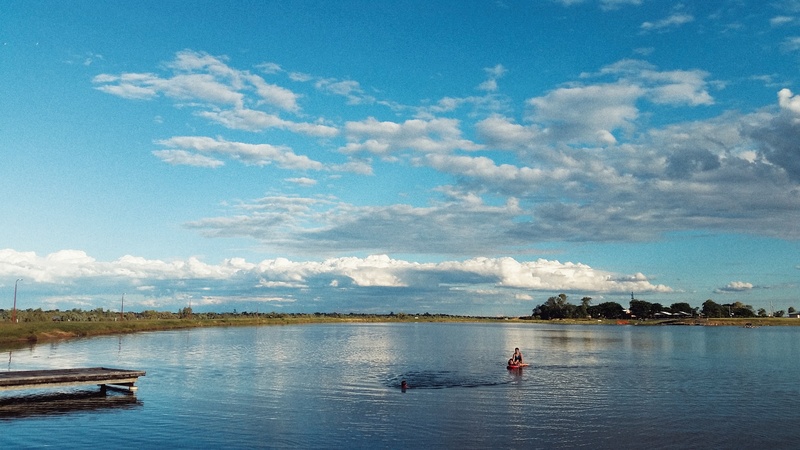 Jess out paddling on Lake Fred Tritton. 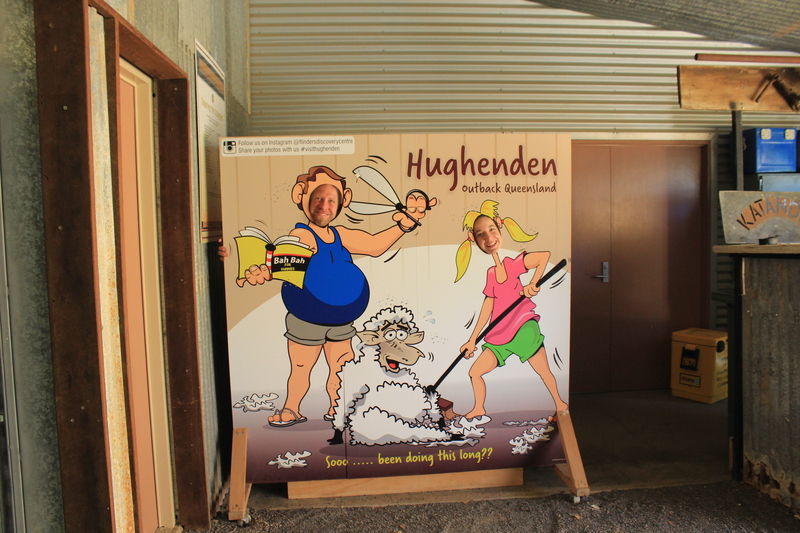 From Richmond, we only had a short drive to Hughenden where I promised the girls that we would have one final museum to see before we boycotted them for a few weeks. 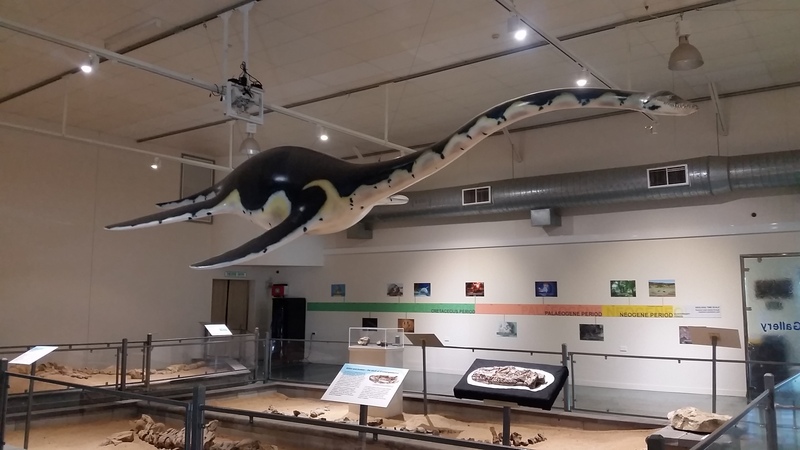 The museum was the Flinders Discovery Centre, housed in the Visitors Centre, and was home to a life size replica of “Hughie’ the Muttaburrasaurus herbivore dinosaur. 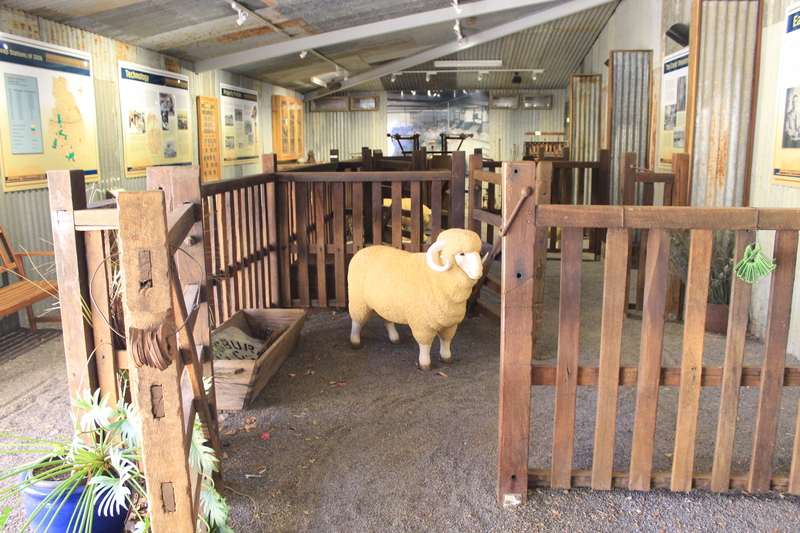 The Museum also showcased the sheep pioneering history of the area and we surprisingly spent an hour walking around and soaking it all up. 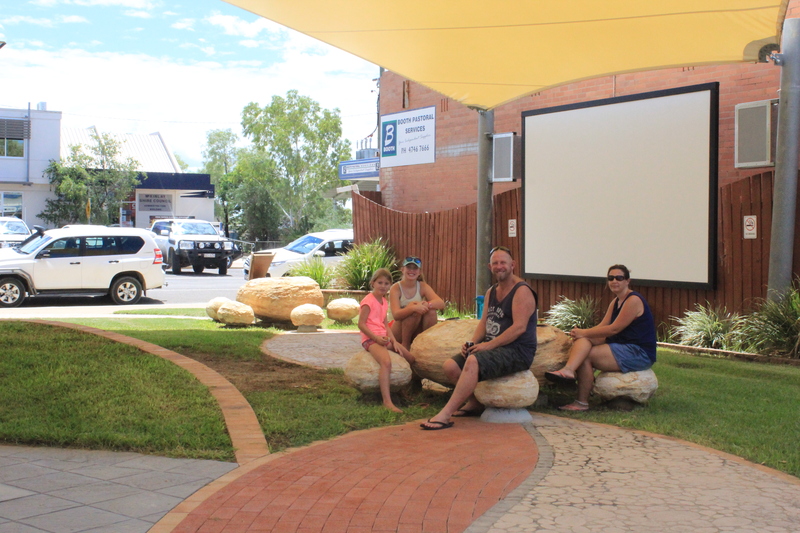 We also visited the library to join up to ‘Rural Libraries Queensland’ as a tourist member. This membership allows us to borrow books and ebooks at any library in rural QLD and return them to different libraries as we travel. An awesome initiative considering we are spending a small fortune on books that the kids are reading, proud to say though, they are all reading about 2 hours a day, something unheard of a few years ago!!! 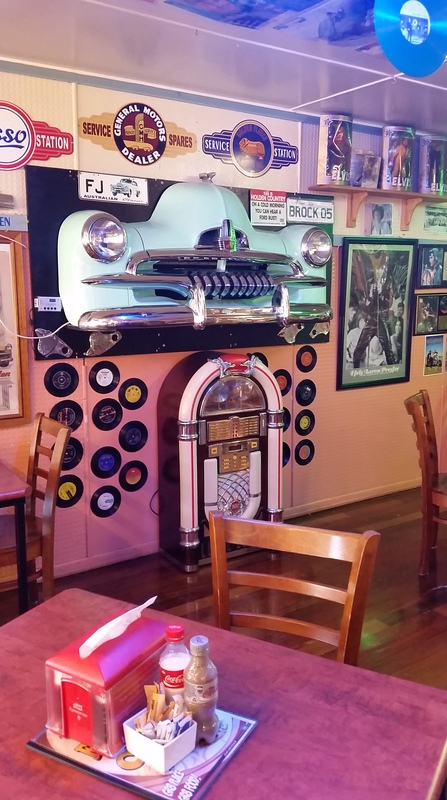 Afterwards we went for a coffee at the FJ Holden café in the Main Street, a place owned by Mr F and Mrs J Holden and home to a pretty awesome collection of Holden and Rock n Roll memorabilia. The girls weren’t impressed, but Nik and I enjoyed having a look around. 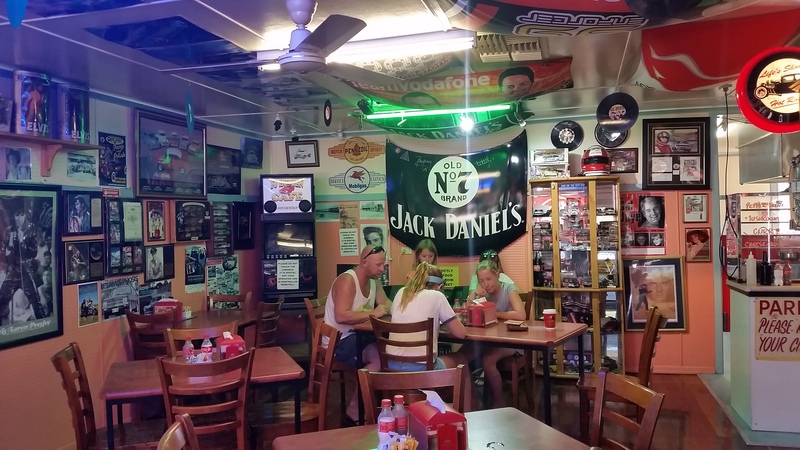 Plenty of memorabilia and photos at the FJ Holden cafe. Our next stop was Charters Towers, a unique country town about 90 minutes west of Townsville, which was put on the map by the discovery of gold in 1871 by an Aboriginal ‘horse boy’ called Jupiter Mosman. 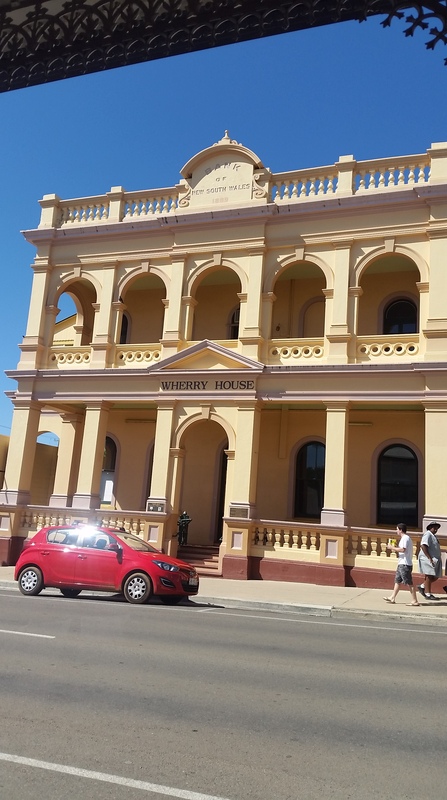 Charters Towers then became the second largest city in QLD, thankfully for us though it’s not so busy these days and we felt that it had a certain feel to it so we decided to stay and explore few days. 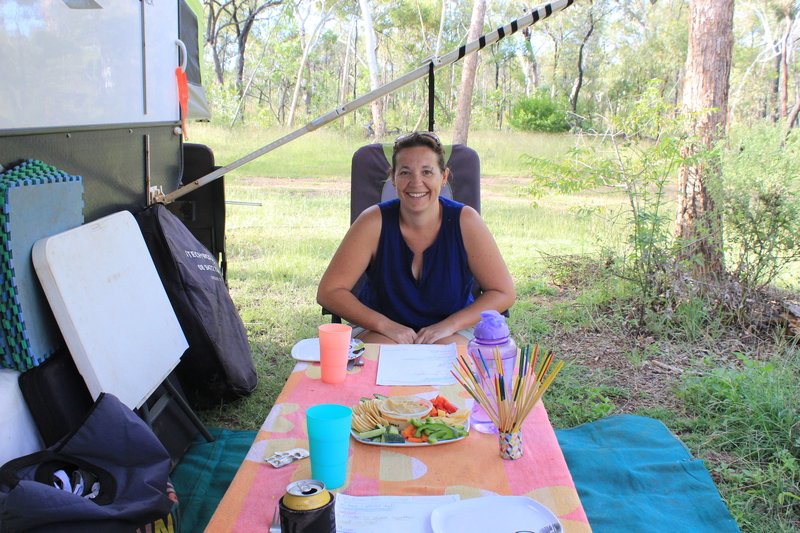 After we rang around for a few prices we decided to stay at Charters Towers Tourist Park as they were the friendliest and cheapest in town. 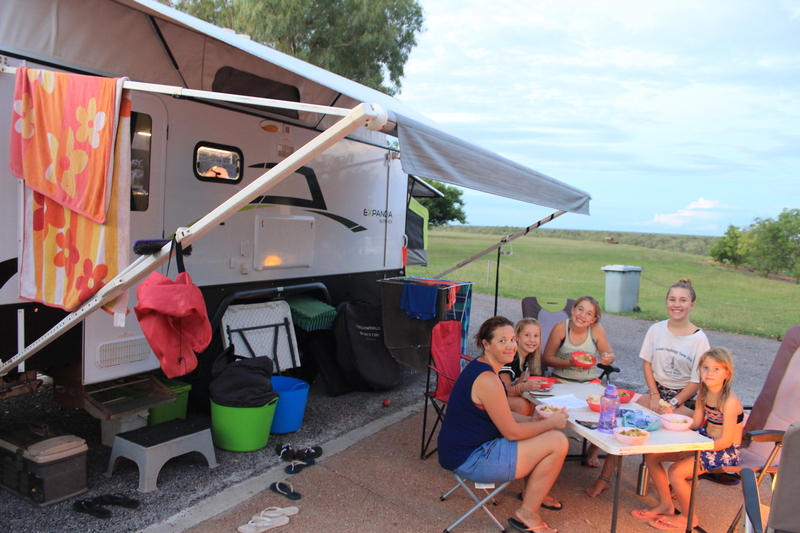 As we booked in the owner told us that the Drive in was on that night, so with our night all planned out, we quickly set up, went for a swim and cooked dinner. The Drive In was great value, 2 movies for $8 per adult and $6 for kids. We only stayed and watched the first movie ‘Hidden Figures’, which was a great family movie telling the story of 3 inspirational colored women working for NASA back in the 60’s. Jess and Abs were a bit confused as to why everyone was treating the women the way they did, so it was a bit of an unpleasant history lesson for them (one of many we’ve had whilst travelling…. ), however we focused more on the good stuff and the positive contribution and outcome as a result of these women, so they were OK with it. We all loved it and considering the mathematical side of the story, I’m milking it for all its worth as we calculate our way through homeschooling years 8 & 10 maths……. 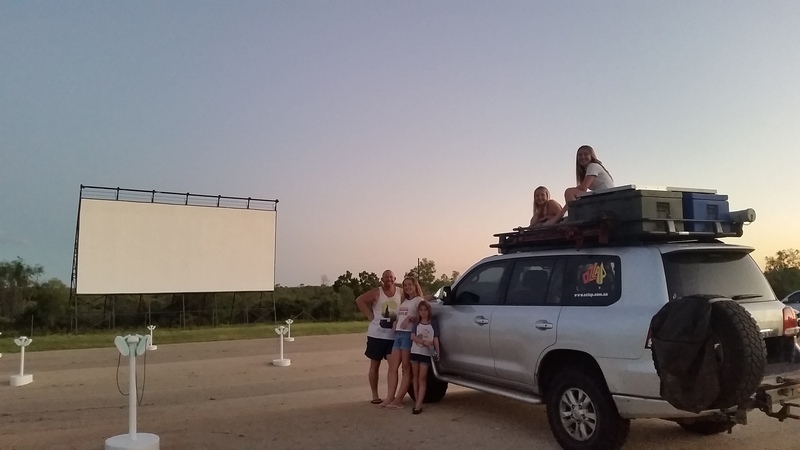 Awesome night at the Drive In watching an inspirational movie for the girls. The next day we meandered up and down the main street of town, enjoying the old buildings and lovely architecture, then stopped in at the old Stock Exchange building for coffee and milkshakes. 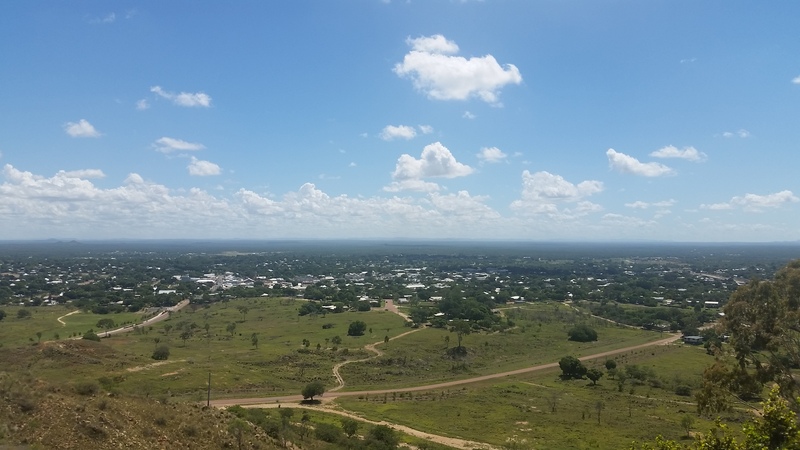 We then went for a drive to the Towers Hill Lookout which had some great view of the town and surrounding areas. 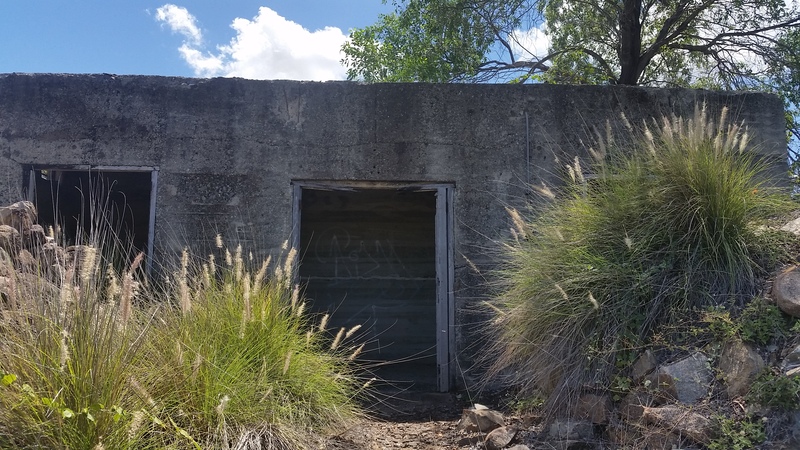 After a quick geocache find and a look at the many WWII bunkers we headed back to the van for an hour of schooling and spent the rest of the day swimming and chillaxing. 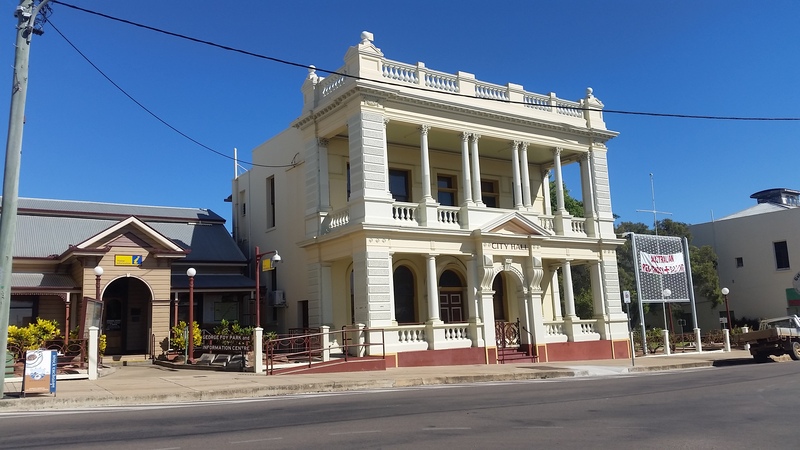 The grand old buildings at Charters Towers. The old ‘Bank of New South Wales’ building. The Towers Hill lookout over Charter Towers. 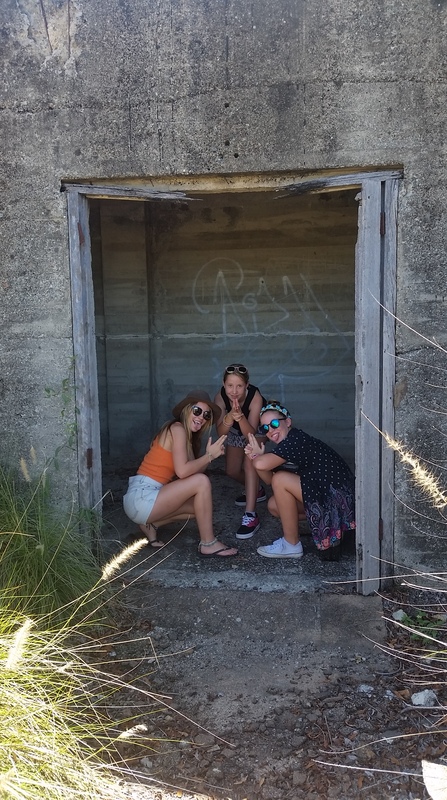 Charlie’s Angels hiding out at one of the many WWII bunkers at Charters Towers. 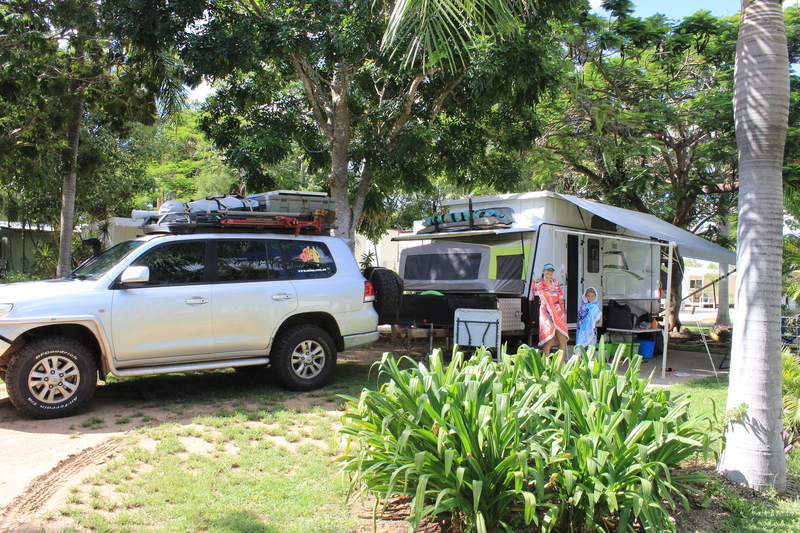 We had ummed and ahhed about whether to keep driving to Townsville however we decided that as we would be following the coastal road back down the east coast we would head to Cairns via the “Great Inland Way’. Given it was still quite a few hundred kms away we stopped in at the Undara Volcanic National Park for a few days. 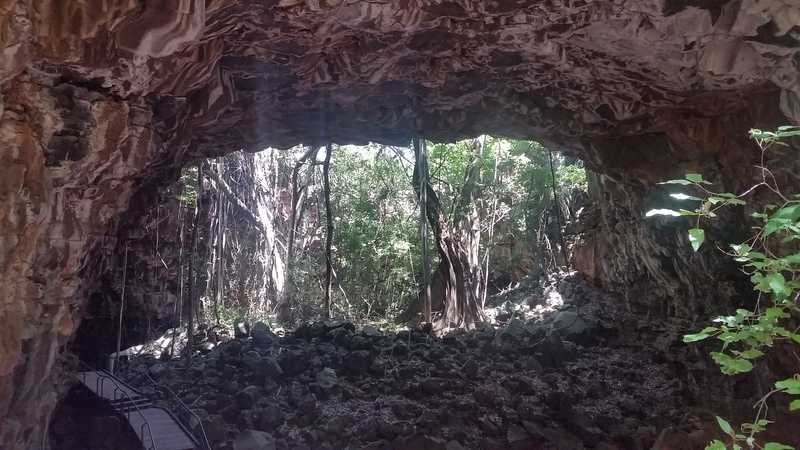 We stayed at the Undara Experience, a privately run tourist business that offers all types of accommodation, meals and daily tours to the lava tubes, the only available public access to the park. Given that it’s the ‘green season’ or the quiet season we were surprised when we had a full bus on our ‘Archway Explorer’ tour. The tour took us into one of the sections of the Undara lava tubes, a relatively small area given that they span a distance of over 160kms. We had a very knowledgable tour guide who explained to us about the how the business came about, the history of the family that runs it as well as giving us what I think is a years worth of science information. He had a fantastic way of explaining things and putting them into perspective regarding the age of the tubes and the whole subject of geology. It was a great couple of hours, however I don’t think we have any budding geologists, volcanologists or speleologists in the family. 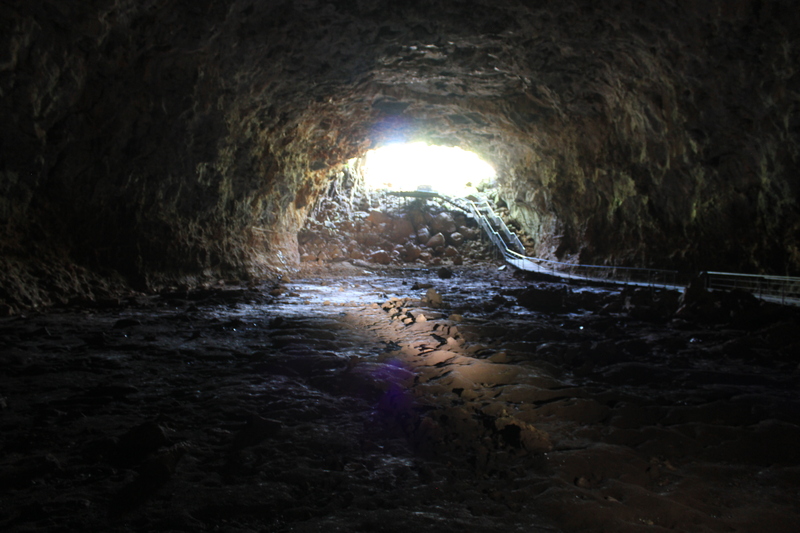 One of the entrances to a section of the lava tubes. 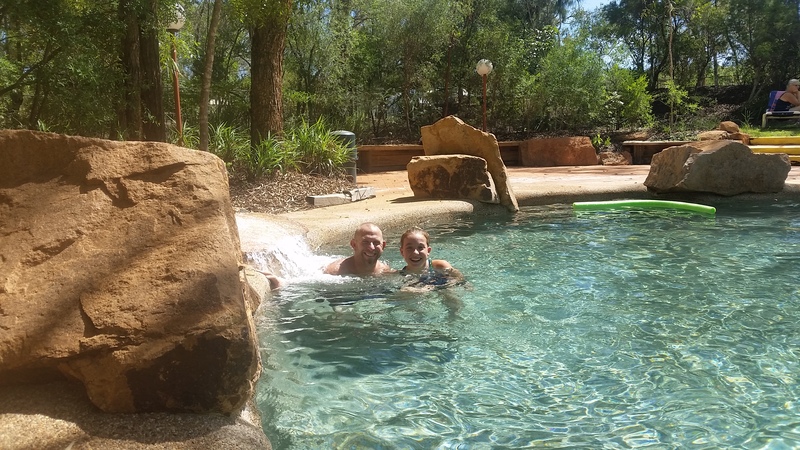 Cooling off at the pool at the Undara Experience campground. In hindsight, I think we have completely overloaded the girls with information from fossils to volcanoes in the last week, so much so that I have a feeling they’ll never look at another rock again in their life!!! 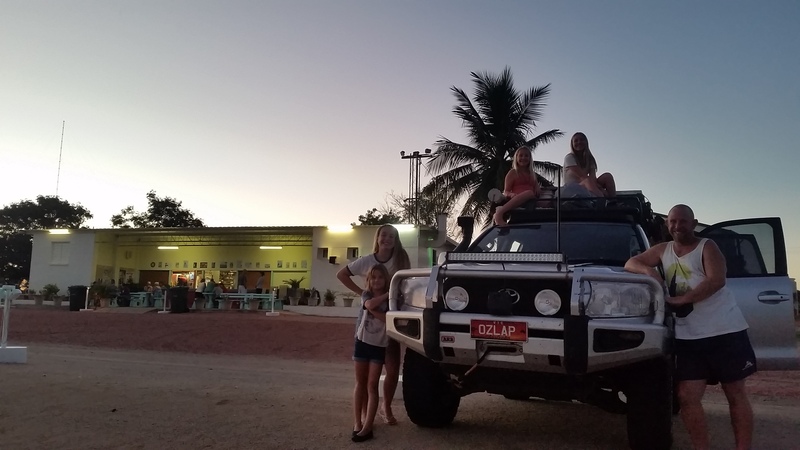 So just as well our next leg of the journey had us traveling into and over the lush tropical rainforests of FNQ, as we head to our next adventure and destination on our OZLAP…….